ETA Greg Sutton continued several initiatives at his school in the month of March. He facilitated a pen pal exchange between his and ETA Katia Oltmann’s English club students. The students continued to correspond, exchanging several letters, and will have the opportunity to meet each other via video chat in April. Inspired by fellow ETA Nageen Sherani’s presentation during the mid-year conference in Jakarta, Greg also used a PowerPoint presentation to play Jeopardy with his English club. His students really enjoyed the new and interactive trivia game, and he plans to make several versions of the game for future English club meetings. Additionally, Greg took his WORDS Winner to Malang in order to meet ETA Elena Dietz and her WORDS Winner, Nando. They had dinner at a nice hotel in the city to congratulate the students on winning their competitions and to celebrate their success. 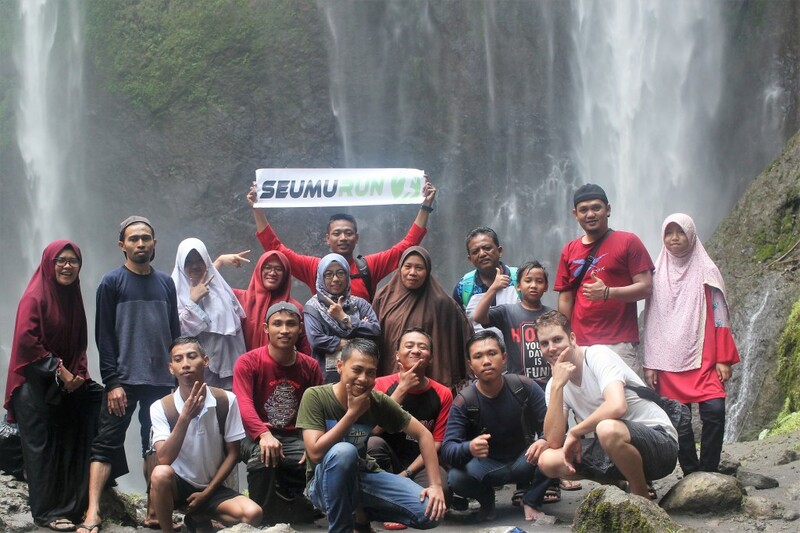 Greg also had the chance to go to a big waterfall called Coban Sewu (about two hours away from his home in Gondanglegi) with about 15 other teachers from his school. He really enjoyed the field trip and being able to bond with other teachers that he doesn’t normally get the chance to interact with as much. Between all of this activity, Greg managed to meet with his WORDS winner nearly every day to prepare for the upcoming competition in Jakarta. He is looking forward to having his student meet (and compete with) the other competitors. Finally, Greg went to a local “Edu-Fair,” a fair catered to middle schoolers to “window shop” for potential high schools they may want to attend. He enjoyed taking pictures and practicing English conversation with many of the students that came to his school’s booth.